A group of United Nations independent experts on Iran, peaceful assembly and of association, extrajudicial executions, torture and minorities today urged the Iranian authorities to halt the execution of five Ahwazi activists, who are at imminent risk after their death sentences were recently upheld by the Supreme Court. 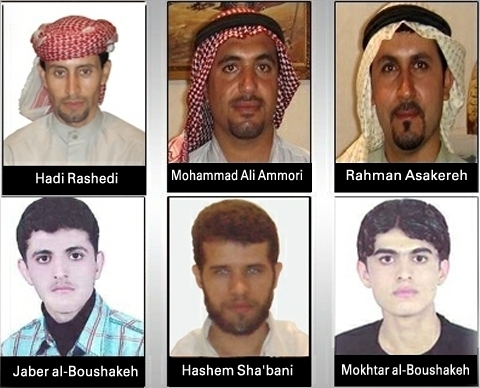 According to reports, Mr Mohammad Ali Amouri, Mr Sayed Jaber Alboshoka, Mr Sayed Mokhtar Alboshoka, Mr Hashem Shabain Amouri and Mr Hadi Rashidi, all founding members of Al-Hiwar, a scientific and cultural institute, were sentenced to death on charges including Moharebeh (“enmity against God”), Mufsid-fil-Arz (“corruption on earth”) and spreading propaganda against the system in 2012. “It is absolutely unacceptable for individuals to be imprisoned and condemned to death for exercising their rights to freedom of peaceful assembly, association, opinion and expression, and affiliation to minority groups and to cultural institutions,” stressed the UN Special Rapporteur on the situation of human rights in the Islamic Republic of Iran, Ahmed Shaheed. The five activists were arrested in their homes in Ahwaz in 2011, ahead of the sixth anniversary of widespread protests by the Ahwazi community, and were reportedly convicted following unfair trials. “Under international law, the death penalty can only be employed when very strict conditions are met, for example only in respect of the most serious crimes and only after a trial and appeal proceedings that scrupulously respect all the principles of due process,” noted the Special Rapporteur on extrajudicial, summary or arbitrary executions, Christof Heyns, expressing serious concerns about the way these trials were conducted.